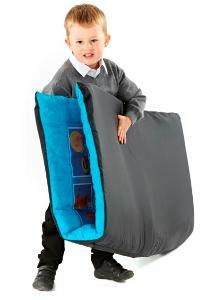 The square placement mat is ideal for Foundation Stage children for using at carpet time. The mat is non slip, wipe clean and padded for extra comfort and is large enough to sit the whole class on. It is available in two sizes.